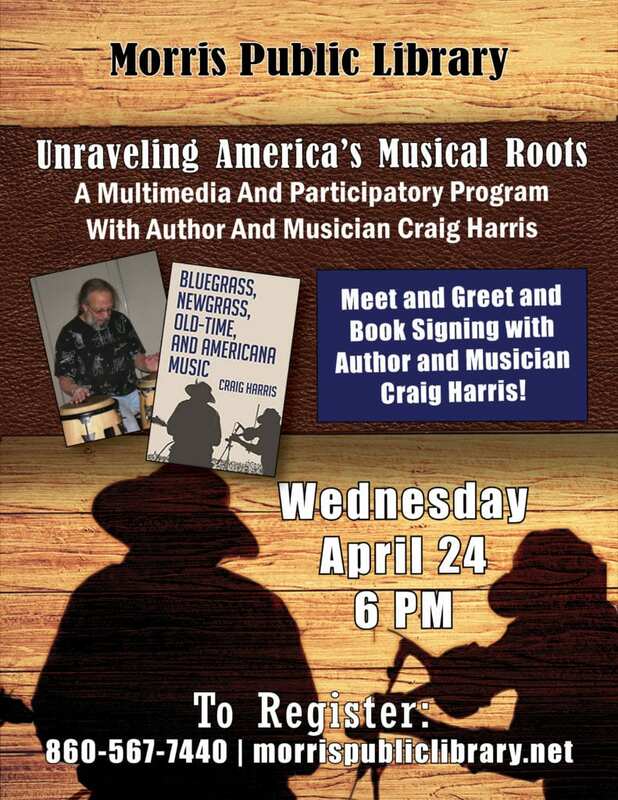 Unraveling America’s Musical Roots, multimedia program with musician and author Craig Harris, at the Morris Public Library, Wednesday, April 24, at 6 p.m.
Join musician and author/photographer Craig Harris for his multimedia and participatory general audience program, Unraveling America’s Musical Roots, offered in conjunction with his new book, Bluegrass, Newgrass, Old-time, and Americana Music (Pelican Publishing, May 2018). The event will present the archival audio/film, well-researched storytelling, and collective music-making. Unraveling America’s Musical Roots will take the audience from old-time Appalachian string bands and bluegrass banjo players to Americana experimenters and beyond. 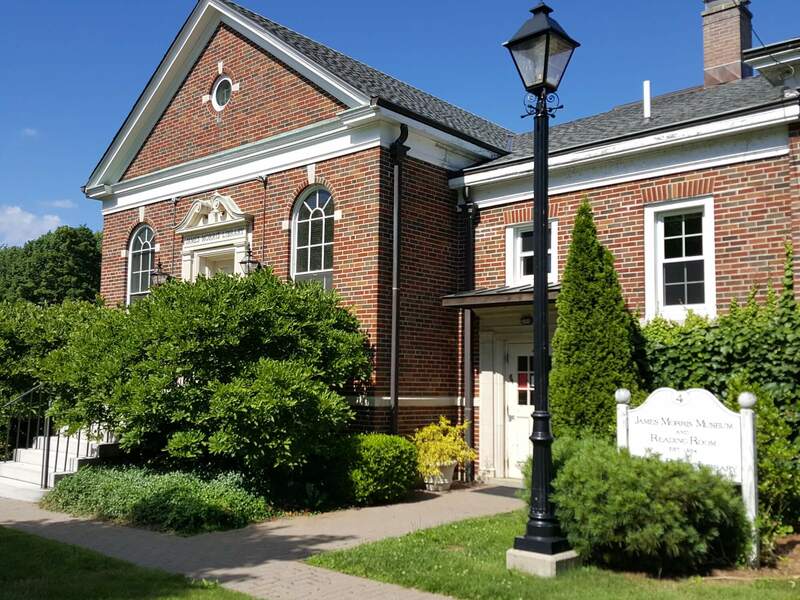 The Connecticut 169 Club: Your Passport and Guide to Exploring Connecticut, with author Marty Podskoch, at the Morris Public Library, Tuesday, May 14, 2019, at 6:30 P.M.
© 2019, Morris Public Library. All Rights Reserved.